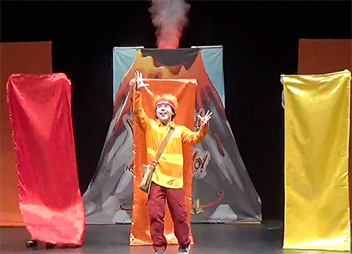 Arts On Stage :: My Mouth is a Volcano! 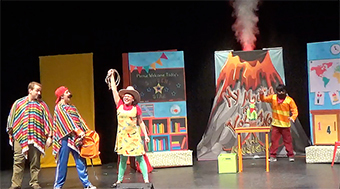 FREE ADD-ON: A conversation with the author, Julia Cook, via recorded video. she will answer questions about being an author and about the book. 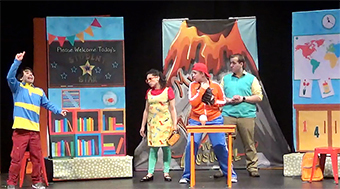 Your class must have a reservation to the live show in order to receive the video link to be viewed at your convenience. 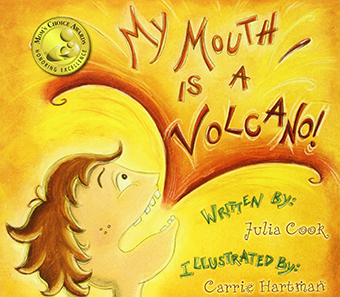 Based on the award-winning book by Julia Cook, "My Mouth is a Volcano" teaches children the value of respecting others by listening and waiting for their turn to speak. Louis always interrupts! 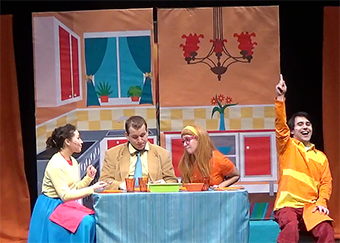 All of his thoughts are very important to him, and when he has something to say he ERUPTS (or interrupts), but when others begin to interrupt Louis, he learns how to respectfully wait for his turn to talk.